Going through your old shoes and getting rid of certain pairs to make room in your closet can be difficult. It’s always hard to let go of a pair you loved the look of but that never fit right, or your most comfortable pair that have finally bitten the dust. Just because you can’t wear them anymore, however, doesn’t mean you need to throw a pair of shoes in the trash! 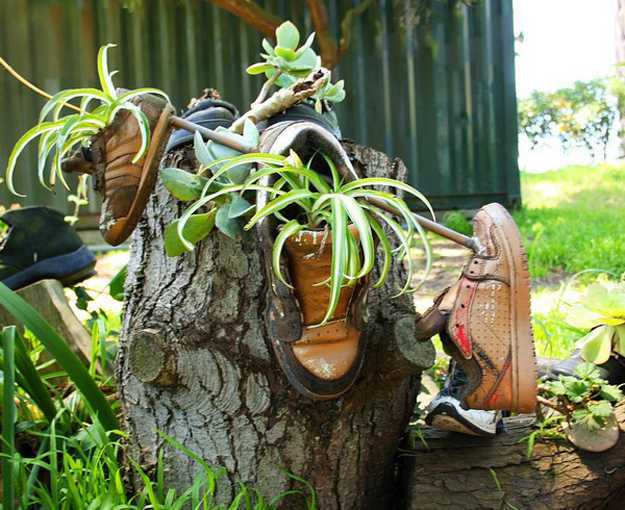 Check out these 15 creative ways to repurpose old shoes so that nothing practical goes to waste. 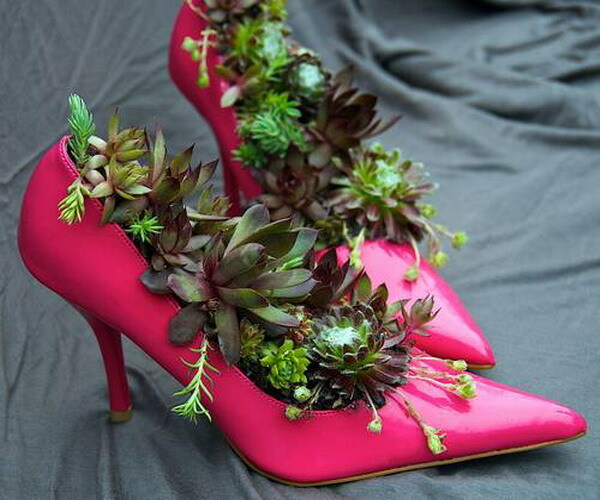 Shelterness suggests using that pair of fancy pumps that hurt you to much to wear as a planter for cute succulents. Succulent plants are long lasting and low maintenance, so they’re a good choice for unconventional planting that’s a little more decorative than usual. Cacti are another hardy plant that will survive being placed in something a little more fun than a regular terracotta plant pot. 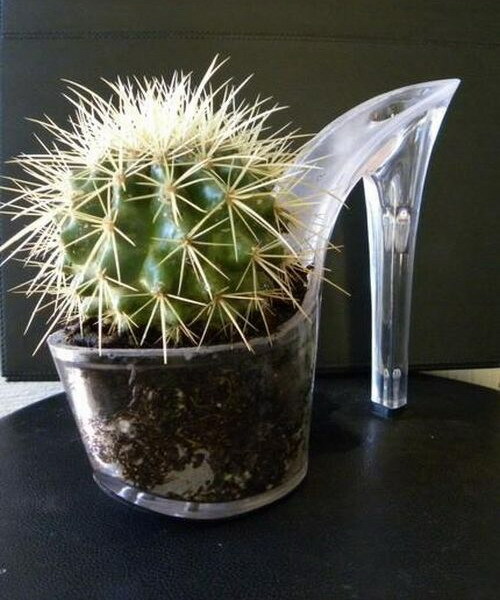 We love this high heeled planter idea from Shelterness where the cactus is planted directly in the deep platform at the front of the shoe! Run Ragnar suggests disinfecting your comfiest old running shoes and transforming them into an herb garden display. Attach them to a stump and plant directly in them to create a unique little corner in your yard that juxtaposes commercial things and greenery. Recyclart shows you how easy it is to place small accessories, like bracelets or rings, in the toes of an old pair of shoes hung up on the wall! You can even screw a couple hooks through the soles of the shoes to give yourself something to hang necklaces or earrings on as well. Some people like to copper their baby’s first pair of shoes for display, but Handmade Harbour has another idea for mamas who are also seamstresses! 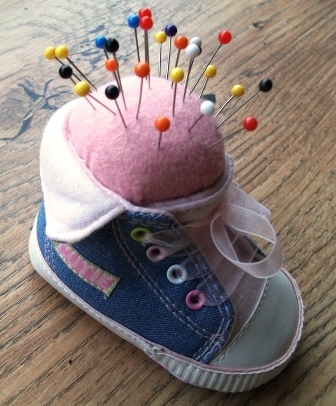 We love this adorable pin cushion idea because of how it looks, but also because it’s study enough to place just about anywhere while you pin and sew. 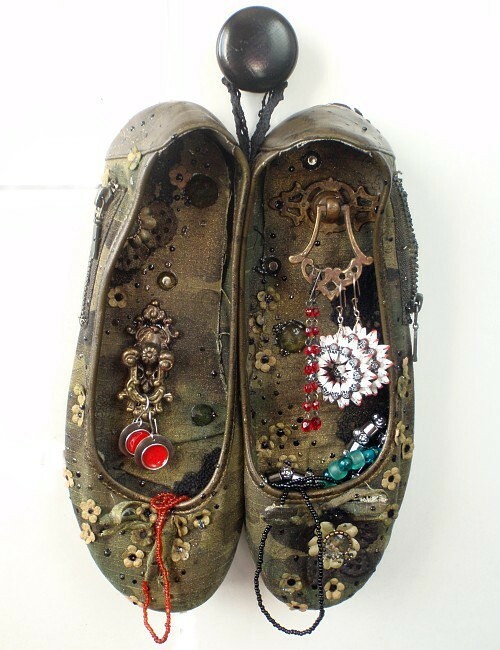 This post on Pinterest shows you one of the simplest ways of reusing an old shoe out there! Nail it sole down to the side of a tree and place some bird seed in the toe. 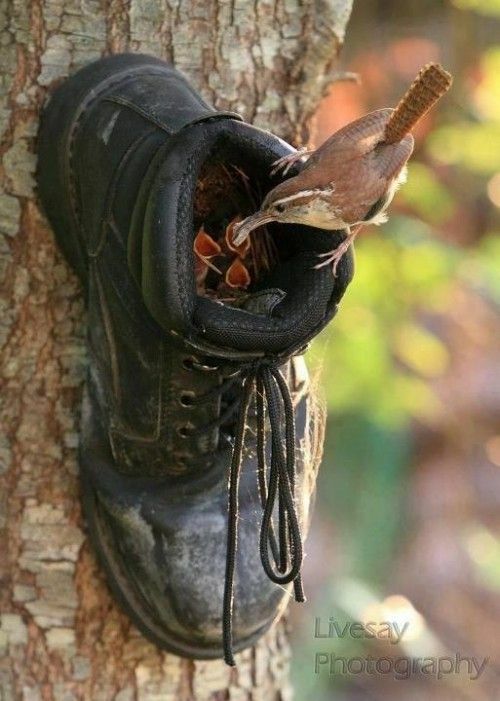 Birds will either love visiting the shoe for a little snack or completely take up residence there like this feathered family did! Pinterest is full of great ideas for turning shoes into cute wall hangings. 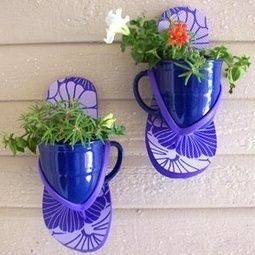 We love this idea of hanging up a pair of flip flops and balancing a well-sized plant pot into the toe thong so flowers and bloom from the sandal. 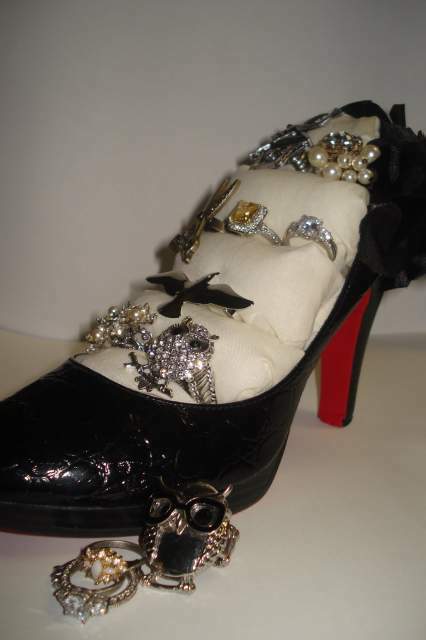 HGTV shows you an awesomely kitschy idea that upcycles as many pairs of heels as you need to all at once! Attach the shoes to a plank of wood so the heel sticks out and up and hang it on your wall. Use those heels to hang coats, towels, your bath robe, or scarves! 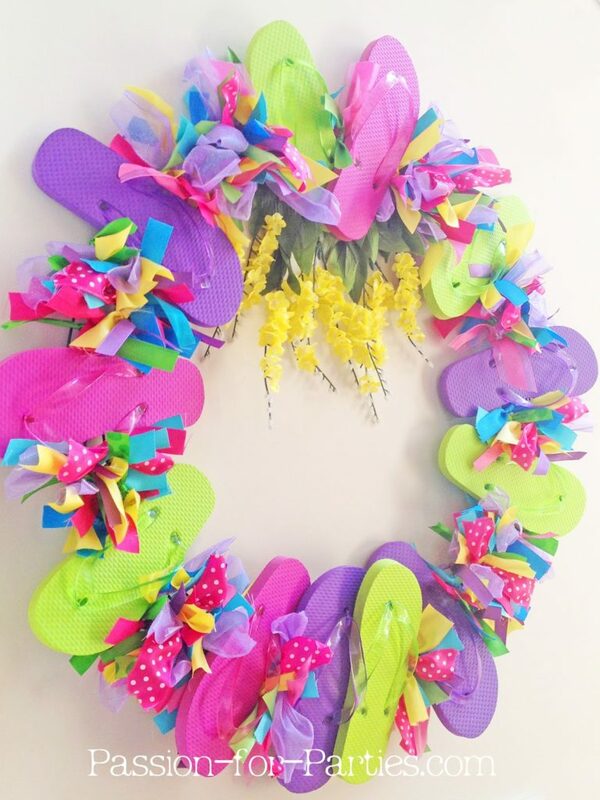 This adorably bright flip flop and ribbon door wreath is perfect for summer! We can picture if perfectly welcoming guests to a sunny pool party or summertime kids’ birthday party. Check out how it’s made on Passion for Parties! 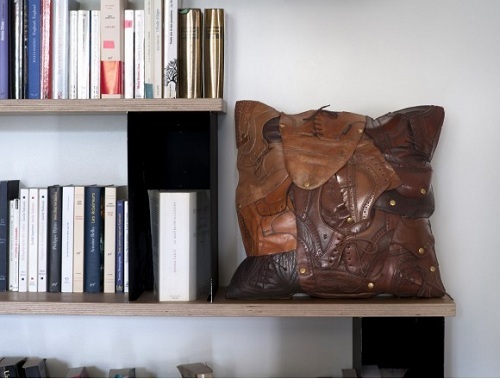 If you’re looking for a way to reuse at least the genuine leather on several pairs of different kinds of shoes, then consider this awesomely unique shoe leather pillow featured on Shoeholics Club! We loved the way the leather pieces are quilted together so you can still see the details of the shoes. Outdoor Mama shows you how to make an adorable little walkway from one place to another in your garden by setting shoes upside down like stepping stones along the ground. 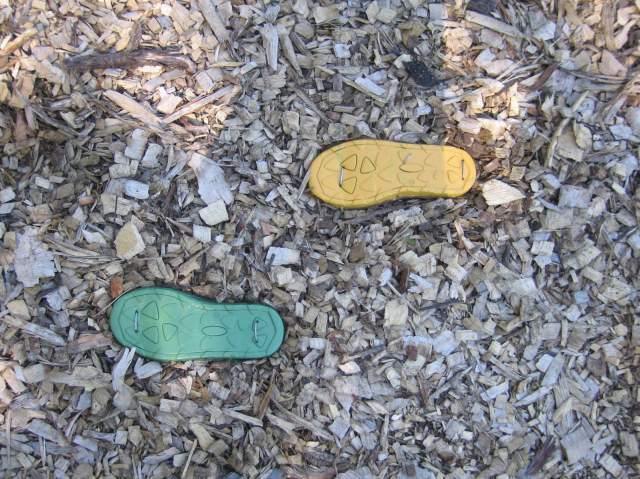 Kids, especially, will love hopping from sole to sole as they walk. The Toasted Coconut guides you through the process of inserting a padded fixture for rings into a pretty high heeled shoe to make a glamorously decorative jewelry rack that will suit the theme. 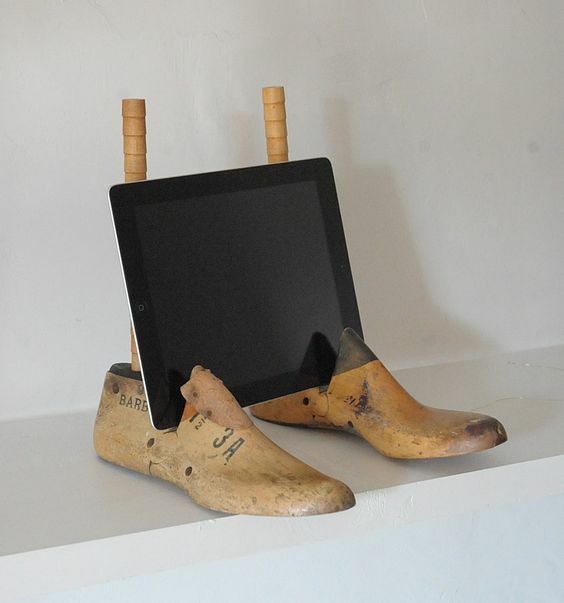 This iPad stand featured on Bailey’s Home is actually made of old shoe forms, but if you don’t have access to any of those, you could easily make a similar rack out of shoes instead. This simple shoe craft featured on Pinterest requires just a pair of scissors, some strings, some chimes from the craft store (or a tinkling DIY replacement for metal chimes, like keys), and a little flip flop sandal! 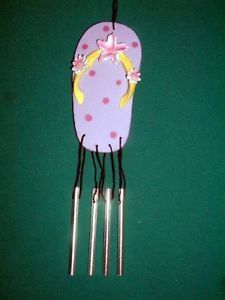 Just make sure you’re very careful not to cut yourself when you puncture holes in the sandal for the strings! 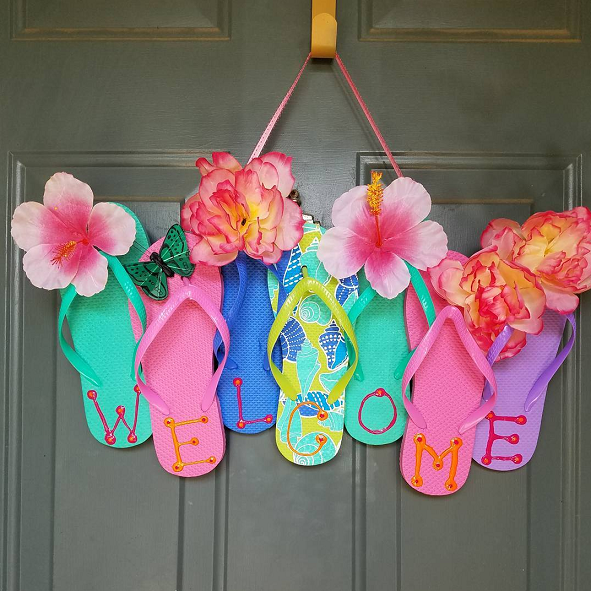 Crafty Morning shows you how to make an adorably summery welcome sign just like this one from differently coloured or patterned flip flops! We love how the bright colours of the shoes complement the bright flowers. Yours doesn’t have to say “Welcome”, but remember to make sure whichever letters you choose will fit on the number of flip flops you include! Do you know someone who’s been thinking about clearing out their shoe closet? Share this post with them for a little bit of upcycling inspiration!